Bill Belichick’s hubris knows no bounds. 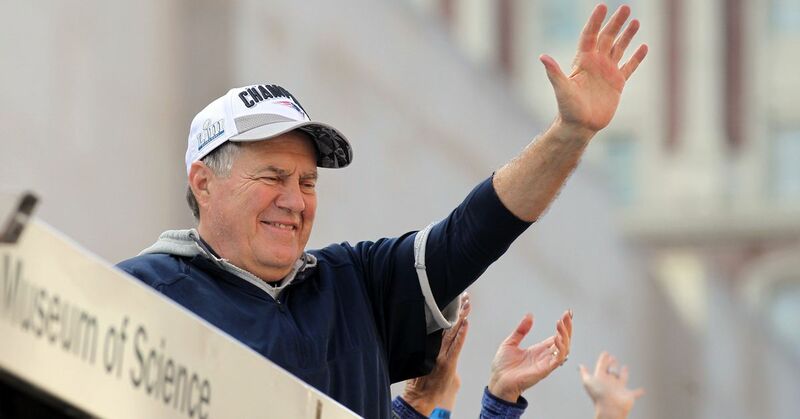 Despite conventional sailor wisdom saying you should never rename a boat — without the proper ceremonies; I’m just assuming that Belichick hasn’t made an oath to the various Gods of the oceans — he keeps doing it. And he’s doing it to keep up with the rate at which his team wins a dang Super Bowl, and he’s not even doing it the best way. Belichick enjoys his fishing boat, which used to be called “V Rings”, before that boat was donated in 2017. He acquired a new boat, named it “VI Rings” and has since had to through the arduous process of changing the name TWICE. This, of course, refers to the six rings he’s won as a head coach and two he won as a defensive coordinator. But I personally think he’s doing this all wrong. Provided he does, of course, make the aforementioned oath to Poseidon, I think he could be doing it better. He could be bragging a whole lot more. We don’t know Belichick as a braggart, at least not to the NFL media. But choosing to name his boat after his rings is clear evidence that he wants to gloat, at least a little bit. My proposal: instead of slapping a whole new coat of paint on the thing, just cross out the old number and write the new one. Imagine the boat, with “1 Ring” and then that’s crossed out, and it says “II Rings.” Then “III Rings”, and so on and so forth. Imagine the side of that dumb boat with seven different names crossed out, culminating in the final “VIII Rings”. If you hated the Patriots, wouldn’t that kind of piss you off? The sheer audacity of spelling it all out? That would be amazing. Please do it, Belichick. I suppose we’ll see if he takes my advice when he renames the damn thing a year from now after another super promising challenger is destroyed in Super Bowl LIV.